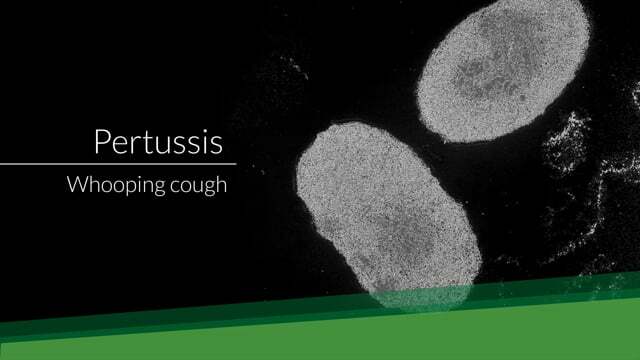 Pertussis, commonly known as whooping cough, is a highly contagious respiratory disease. It causes severe bouts of coughing, which may be accompanied by vomiting and a whooping sound. Epidemics occur in New Zealand every three to five years and several thousand cases (mostly young children) are reported during each epidemic. In older adolescents, adults and older people, pertussis often goes unrecognised and is under reported. Up to a third of adolescents and young adults with a persistent cough have evidence of recent pertussis infection. Pertussis is highly contagious and is spread by coughing and sneezing. The Bordetella pertussis bacterium infects around 90% of non-immune household contacts. School children and adolescents tend to be infected by another student or friend. Many babies catch it from their older siblings or parents, often before they are old enough to be fully vaccinated. Immunity wanes over time which means all adults are a potential source of infection for babies. A person with whooping cough is likely to be infectious from the week before they start coughing to three weeks after the cough begins. About 5 – 10 days (but sometimes up to 3 weeks) after catching whooping cough, the early symptoms start, including a runny nose, sneezing, slight fever and a mild irritating cough which lasts 1 to 2 weeks. This is the most infectious period. 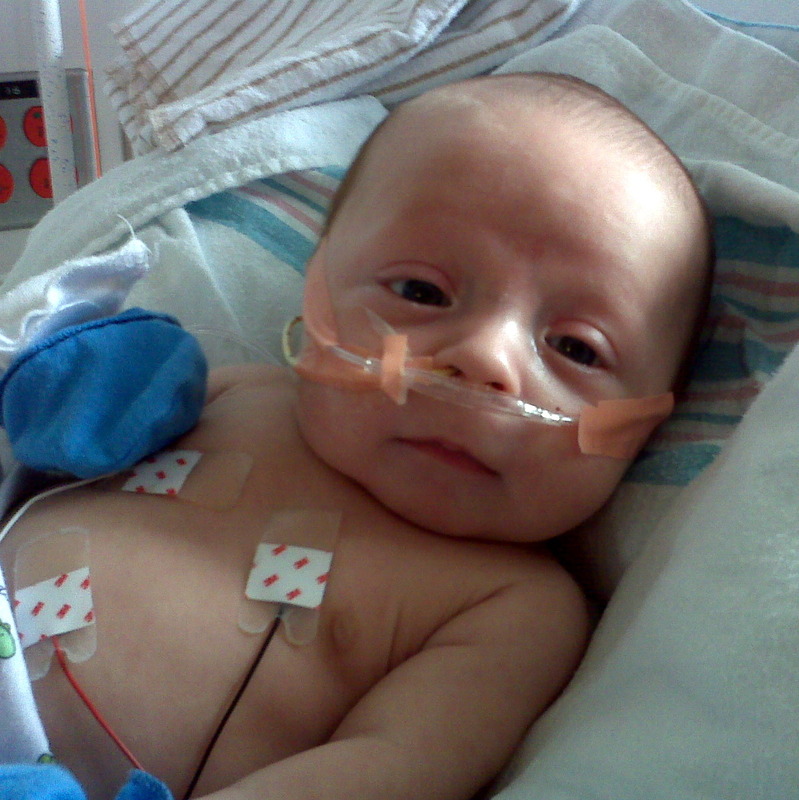 Babies in this phase can get apnoea (stop of breathing) attacks. The later stage symptoms include spasms of coughing followed by a big breath in or high-pitched ‘whoop’ sound in children. Infants and adults generally do not have the characteristic 'whoop'. Infants and young children often appear very unwell, and may turn blue and vomit with coughing bouts. The recovery stage may last for months. Although the cough eventually disappears after several weeks, coughing fits may recur whenever the patient suffers any later respiratory infection. There is no treatment for whooping cough. Antibiotics, such as erythromycin, can be prescribed during the early stages to reduce spread of the disease. They may reduce symptoms if given early enough. Those most at risk of serious disease are infants under 12 months of age. Infants who do not receive on-time doses of pertussis-containing vaccine at the scheduled times of 6 weeks, 3 months, and 5 months are five times more likely to be hospitalised with pertussis than those babies who are vaccinated on time. Around half the babies who catch pertussis before the age of 12 months require hospitalisation and 1 or 2 in 100 of those hospitalised die from pertussis infection. Severe coughing can temporarily stop the oxygen supply to the brain (hypoxia). In around 2 in 1,000 children pertussis leads to permanent brain damage, paralysis, deafness or blindness. Secondary infections such as pneumonia and ear infections can occur. The disease is usually milder in adolescents and adults, consisting of a persistent cough similar to that found in other upper respiratory infections, although for some adults violent coughing will result in collapse, rib fracture or pneumonia. Both hospitalisations and deaths are likely to be under-estimated in adults. The best protectionf or infants is for their mother to be vaccinated during pregnancy followed by on-time immunisations for the infant at 6 weeks, 3 months and 5 months. Children are further protected with booster vaccines at four years and 11 years of age. When a pregnant woman is vaccinated against whooping cough her body develops high levels of antibodies (disease-specific protective proteins) which will pass through the placenta. These help protect the newborn from severe whooping cough for the first few months of life, until the infant has had their own three doses of vaccine and can make their own longer-term protection. A booster dose of a whooping cough vaccine (Boostrix®) is recommended for every pregnancy and is free for women between 28-38 weeks of pregnancy. Breastfeeding does not provide direct effective protection against whooping cough. All infants or children with pertussis should be excluded from early childhood services, school or community gatherings until they are well enough to attend and have either received five days of antibiotics or three weeks have elapsed since the onset of coughing spasms. It is also recommended that close family contacts of young infants, such as grandparents and fathers have a booster dose of pertussis vaccine to reduce spread of the disease. Older siblings should be up-to-date with their immunisations.